Just listed is this fully rented solid brick duplex located in trendy Clifton neighborhood within walking distance of restaurants, shopping, etc. 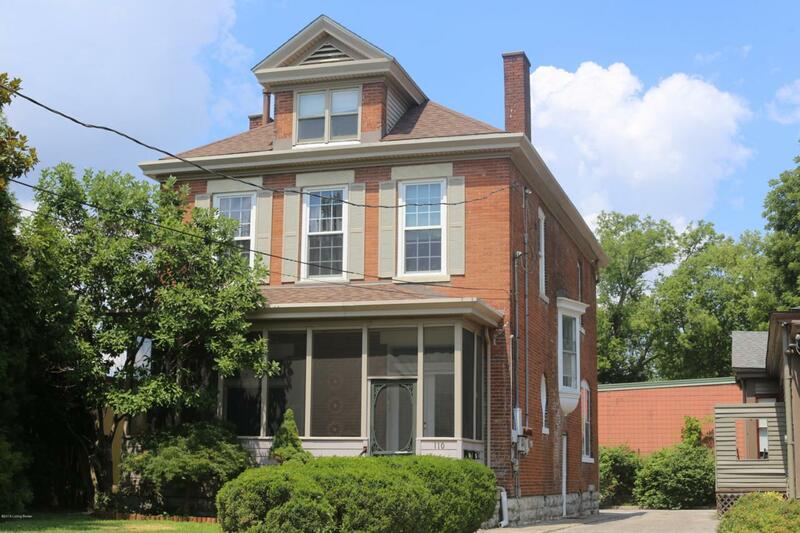 The 1st floor unit features elevated ceilings, original trim and features throughout including stain glass window, three fireplaces/mantles and fresh paint and carpet. First floor unit has a private screened in front porch. The second floor unit features 2/3 bedrooms with large closets, fireplace and extra third floor living space. Building has central air, a common area hallway and a large basement with mechanicals for both units. Both units have laundry hookups and have separate storage sheds on the property for additional storage. Tenants pay LG&E and owner pays water/sewer. Driveway is shared with adjoining owner.